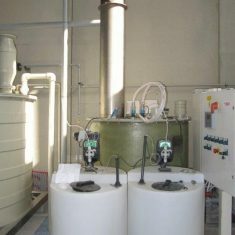 LLC “LET” represents in the Russian market diaphragm and membrane electrolysis equipment of high productivity for obtaining highly concentrated sodium hypochlorite 15-19%. Having a rich experience and own production, we design, produce and service “AQUACHLOR-DIAPHRAGM” equipment. “AQUACHLOR-DIAPHRAGM” equipment is equipment of high productivity for getting concentrated sodium hypochlorite (15-19%), chlorine and caustic soda. 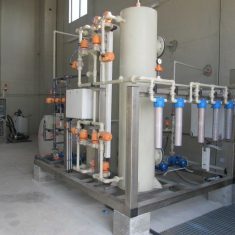 “AQUACHLOR-DIAPHRAGM” equipment allows assembling complexes with the capacity up to several tons of active chlorine per day. Salt of technical quality is used as raw material, which allows you to minimize the cost of the product. “AQUACHLOR-MEMBRANE” and “AQUACHLOR-DIAPHRAGM” equipment has the same operating principle and differ only in the characteristics of the element separating the products of the cathode and anode process. 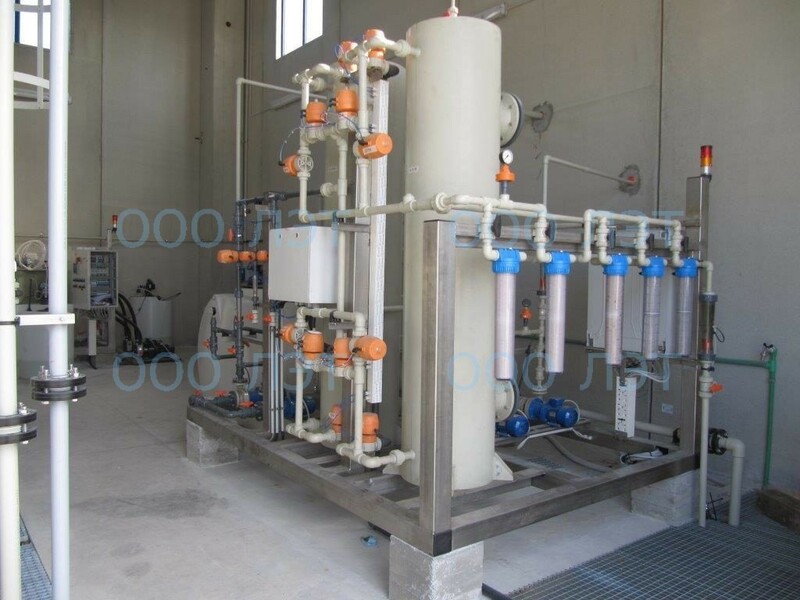 “AQUACHLOR-DIAPHRAGMA” equipment is less sensitive to the quality of cleaning the working brine; the resulting sodium hypochlorite is suitable for most applications, in particular, for water disinfection. “AQUACHLOR-DIAPHRAGMA” equipment has a capacity step of 25 kg of active chlorine.Equipment “AQUACHLOR-DIAPHRAGMA” can be installed in a complex, which allows obtaining any necessary productivity, from several tens of kilograms to several tons.You can see examples of complexes of diaphragm type installations in GALLERY section of our website. In the equipment “AQUACHLOR-DIAPHRAGMA” the principle of diaphragm electrolysis is realized. The electrodes of the reactor are separated by a polymer ion-selective diaphragm, which allows the reaction products to be separated. Chlorine and alkali go to additional purification stage and enter the column, where sodium hypochlorite is formed at a given concentration. 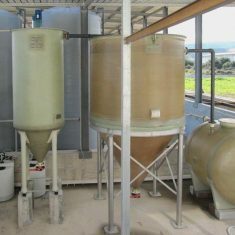 Unlike flowing electrolyzers, diaphragm equipment allows to obtain hypochlorite with an active chlorine content of 150-190 g / L, similar to the Commodity GPCN of grade A. 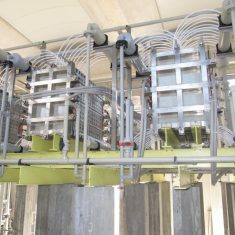 A distinctive feature of the technology of diaphragm electrolysis is the sensitivity of the diaphragm used to the purity of the incoming salt solution. 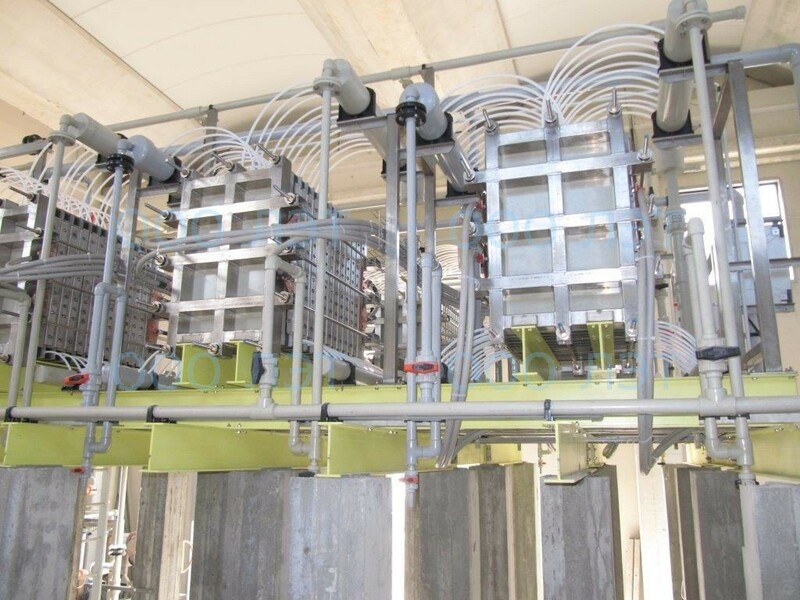 A distinctive feature of the technology of diaphragm electrolysis is the sensitivity of the diaphragm used to the purity of the incoming salt solution. 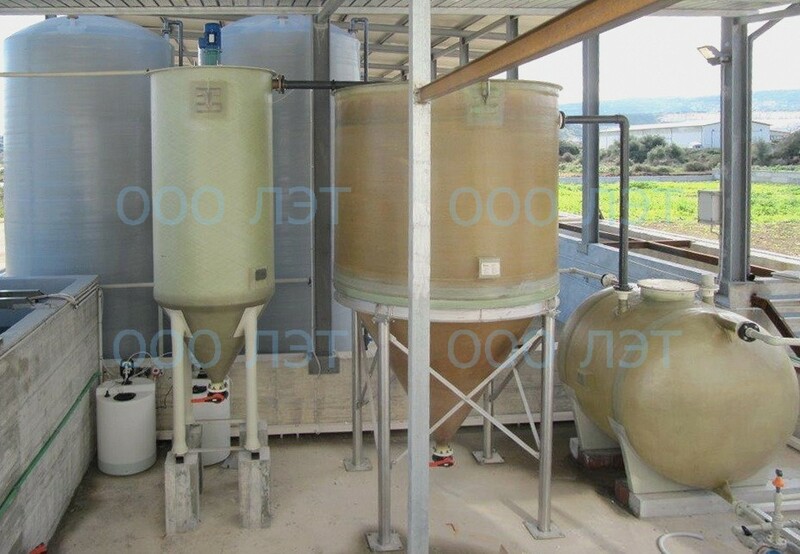 Each complex includes a salt solution purification module that allows to prepare ultra-pure salt solution from raw materials of any quality (technical salt of any variety, rock salt), to ensure a long service life of the equipment. You can learn more about the operation of individual modules of membrane equipment complexes in the section ARTICLES of our website. 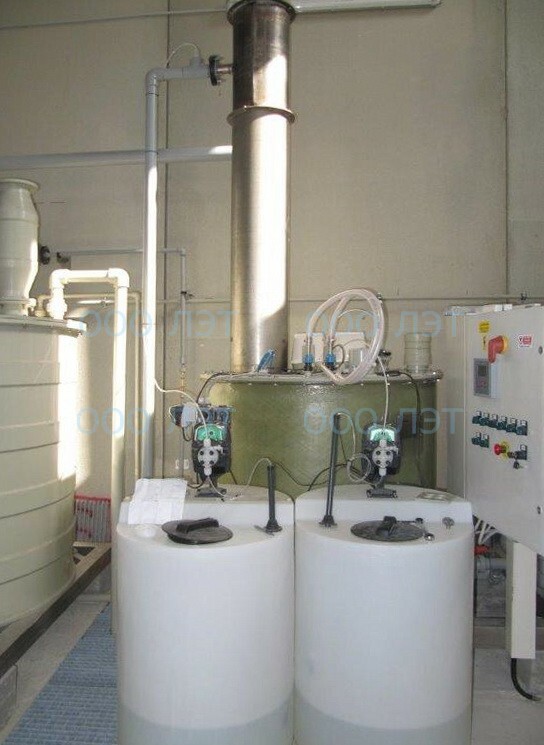 “AQUACHLOR-DIAPHRAGMA” is the only equipment on the Russian market that allows organizing your own concentrated sodium hypochlorite production, similar trade sodium hypochlorite of grade A. High productivity of individual modules and their compactness make it possible to place complexes in existing rooms without the organization of new construction. Own production allows reducing costs for the reagent, avoiding expenses for long transportation and storage of dangerous reagents; withdraw the object from the GCO registry. For more information about the economic efficiency indicators, please see the CALCULATOR section of our website.